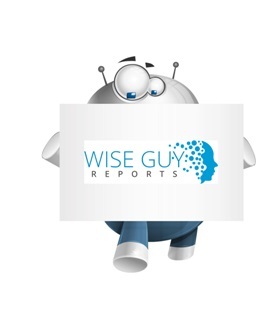 WiseGuyReports.com adds “Low GWP Refrigerants Market 2019 Global Analysis, Growth, Trends and Opportunities Research Report Forecasting 2025” reports to its database. Global Low GWP Refrigerants Market is valued approximately USD 16.4 billion in 2017 and is anticipated to grow with a healthy growth rate of more than 11.9 % over the forecast period 2018-2025. The growth registered can be attributed to lower impact on environment of these low GWP refrigerants, their long-term viability. Rising demand of refrigeration and air-conditioning application and phasing out of chlorofluorocarbons and hydrofluorocarbon refrigerants are the supplementing factors for market growth over the forecast period. Operating cost of manufacturing units of these refrigerants are quite low that offers opportunistic market for the market entrants. However, high capital cost required for producing low GWP refrigerants and flammability and toxicity issues related to its production are some of the factors that may hinder the market growth during the forecast period. The regional analysis of Global Low GWP Refrigerants Market is considered for the key regions such as Asia Pacific, North America, Europe, Latin America and Rest of the World. North America is the leading/significant region across the world in terms of market share owing to rising demand of Low GWP Refrigerants in refrigeration purpose. Europe also contributes a satisfactory growth in the global Low GWP Refrigerants market due to increasing demand of refrigeration in commercial areas. Asia-Pacific is also anticipated to exhibit higher growth rate / CAGR over the forecast period 2018-2025 due to growth in end-user industries including air-conditioning in developing countries such as India, China and Japan.